Autozspa help you keep your car as shiny as Rudolph’s nose. Foam wash includes outside dressing and full service wash, triple foam clear coat treatment, interior vacuuming, glass polish, wheel cleaning, tire dressing and fragrance. Foam wash by Autozspa visibly reduces spots and streaks for a high gloss finish. 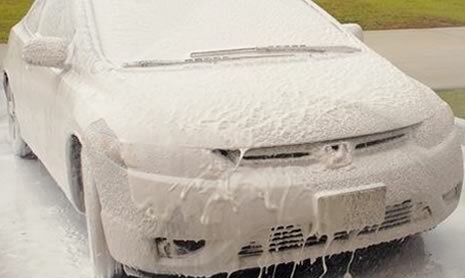 Foam wash safely lifts dirt, grime and residues caused by rain, sleet, snow and bugs to get your car sparkling clean. The only place that offers specialized car care services under the expertise of professional personnel while using advanced technology techniques in car washing at an affordable price. To maintain the value of your precious investment consider routine foam wash for your car.